HOYA is a comprehensive optical manufacturer that develops its global businesses in four business segments: healthcare, medical, electronics, and video, which is divided into two business domains, "information and communications" and “life care, " centered on advanced optical technologies. The Optics division belongs to the image segment, and high-added-value glass materials and aspherical glass lenses as its strengths, we expect current growth and future growth, in such areas as automotive lenses and surveillance cameras, in addition to the conventional digital camera market. We will promote our products in these markets. ① Development work on optical glass: Responsibility for developing optical glass materials for digital cameras, surveillance cameras, automotive cameras and so on. Mainly, to oversee developing new materials. 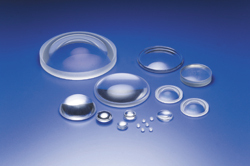 ② Development work on optical glass lenses and overseeing the development of moulding technology for optical glass lenses, development of moulds, design and development of manufacturing equipment, etc. Those who can take the initiative and act independently to complete their work → Ours is an environment that gives engineers discretion to conduct research freely according to their own ideas. Our evaluation system is based on skills and achievements regardless of academic background, age, entrance year, etc. Even young people who demonstrate their potential are given higher-level tasks and assignments, and placements are decided based on expected individual growth. There are few situations in which instructions are given in a top-down manner, and many people think and act on their own, while actively challenging themselves in new areas of business. 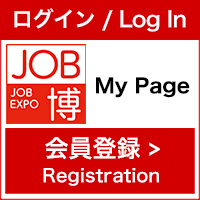 JOB博会場ブースでご案内します。/ We will let the applicants know at the booth in the event. We at The Hoya Group promote both production and sales through selecting the most efficient locations, and we are continuing to localize our business by proactively appointing excellent talented local people to our top local subsidiaries and increasing opportunities (as of the end of June 2017, localization ratio of overseas corporate top management is 81%). In addition, HOYA Corporation has appointed two foreign executive officers, and four foreign business department managers to operate the business globally. If you feel that you are the right fit for the job, please come to our booth and apply!